Hopefully this post will answer a lot of frequently-asked questions and quell confusion about the nature of matchmaking. What is the intent of the matchmaker? "Skill" is not measured absolutely, it is inferred by predictions and game results. The quality of opponents you meet and beat ultimately paints a picture of "stronger than A, weaker than B". Because individual player skill varies wildly (someone can play distracted and underperform or be exceptionally focused and overperform), it is often represented as a Gaussian curve. The mean of the curve, and what we determine to be the measurement of skill is what is called a player's matchmaking rating, or MMR. It starts at some seed value and, through wins and losses, goes up and down. In-game metrics are not factored because they can be gamed or otherwise manipulated. Can you give more detail about what exactly MMR is? The absolute best resource for learning about rating systems are sites that detail the Elo and Glicko rating systems. Blizzard's been using a similar system for years and years. The core concept is that they're all designed around win probability on a per-game basis. Let's say, for example, that everybody starts at 1500 MMR. When you play against other 1500-MMR players, the win probability for that 1500-1500 matchup is 50-50. If you won, your rating would increase by an amount (a tunable constant called "K-factor" multiplied by the win probability), and you would go up to, say, 1516 while the other team's rating would drop. The difference in rating for two players translates into an expected win probability. For example, if the pairing were 1600 vs. 1500, that might mean a win probability of 64-36 (the probability depends on how the system is tuned). If the lower-rated player won and produced an upset, that player would earn more rating. If the lower-rated player lost, that player would lose less rating. I'm making a reasonable assumption here that, since it's a team game, the changes in MMR are applied individually. That is, your MMR compared to the other team's average MMR. An opponent's MMR compared to your team's average MMR. A teammate's MMR compared to the other team's average MMR, and so forth. This would mean that two players on the same team with different ratings would have their ratings affected differently after a game. How much does MMR change per game? Does it fluctuate wildly? The degree of change depends on the gap between you and the average rating of the other team. Let's say Overwatch's system uses a K-factor of 32 (very common, and this is what SC2's system used). If your win probability was extremely low--0.01%--you would gain 32 rating (if it was 50% you would gain 16). However, even with the insanely unlikely +32 rating scenario, that still doesn't have a very large impact on your rating as a whole since going from 1500 to 1532 is relatively small. SC2 preferred a range of between 45% and 55% matchups wherever possible, and Overwatch has a ton of active players right now, so that's probably not too far off the mark. Some systems have a "provisional" K-factor reserved for new players so that their rating can more quickly approach their true skill (SC2 had this as well, and it lasted for a player's career-first 25 games). Generally this is only moderately higher than the standard K-factor, something like 40. What's the search range for other players? The search range (in terms of MMR) depends on the system's confidence in your current rating. If it's highly confident due to a high number of recorded games, then the search range would be pretty small, maybe +/-50 rating. If it's not very confident due to a low number of games played or a lot of upsets, then the default search range would be wider. A lot of systems also tend to temporarily and gradually expand the search range after X seconds if a match has not yet been found. I expect Overwatch is no different. My teammates pick terrible heroes or fail to coordinate properly. Is the matchmaker trying to keep me at 50%? The matchmaker determines expected win probability at the time the game is created. It doesn't care that you're on a winning or losing streak. It only looks at your current rating and matches you with 11 other similarly-rated players. Once the game reaches the hero select screen, the outcome is decided solely by the players. It doesn't know which heroes both teams will pick or how well each team will work together. What happens if I'm in a game where everyone's a similar MMR, but one side keeps losing? Statistically, it appears to be a fair match, but it's proving not to be as the results consistently favor one side. 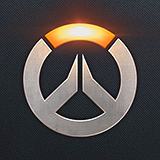 However, the Overwatch system has a failsafe in place in this case where the match will be disbanded (both sides will requeue and "Finding a more balanced match" will appear) once a threshold of consecutive losses is met. Note that this does not apply on a per-game basis, but rather across a series of matches with the same participants. I'm a solo player and I'm always matched against premades. Shouldn't the matchmaker force stacks to play other stacks? It's very easy to assume that you are a group of individuals playing against a 6-stack. You know that you queued alone, and you see that the other team coordinates exceptionally well. One thing to consider is that there is a high probability that you have a stack on your team, too. That "solo vs 6" is very probably a "1+5 vs 1+5" or "1+1+1+3 vs 1+1+1+3". Currently it's difficult to prove this, however Tigole mentioned that in the current internal build, Competitive Play will show which players are grouped together. Why do I see level 100s and level 1s on the same team? There are many possible answers for this. However, first the disclaimer that level is a function of time played and not skill. 1. Matchmaking ratings carried over from beta to live. That "level 1" could have logged hundreds of games in beta and reached your skill level. 2. Your rating is close to the seed value for new players, so they are included in your search range. That is, if the seed value is 1500 and you're 1500 after 500 games, it doesn't make you a bad player, it makes you average. 3. The level 1 is part of a stack. 1) How are outliers (very low skill, very high skill) handled? Are they prioritized in the queue because their potential player pool is smaller? 2) How does the matchmaker handle backfilling? Are live games with open slots prioritized to be filled regardless of player skill? 3) Do players actually have two MMRs, one solo and one group? 4) Is the assumption of individually-applied change in MMR correct, or is it applied communally (calculated by comparing the average MMRs of both teams and applying the result equally for all players)? 4. That level 1 has been playing FPS games for years and most of the skills necessary to wreck you are old-hat. We’ve been following all of the discussion around matchmaking. When topics get discussed in the community (and often among game developers) we tend to talk about things in very black/white or right/wrong terms. But most important decisions you make as a game developer are difficult trade-off decisions with no perfect answer. The goal of the matchmaking is to make it so that you as a player do not have to find 11 other people to play with. You can click a Play button, and the system finds other players for you. That’s the basics. The reality is, the matchmaker is extremely complex in what it is trying to do. It does way more than I am going to mention in this post so while I am going to offer some information here, I am leaving some things out (not all intentionally – it’s just a really complex system). At a most basic level, the matchmaker is trying to put you with 11 other people. But it doesn’t just randomly select 11 people. It takes into account a number of factors (more than I am going to list and not necessarily prioritized). 1. My team won. We beat the other team by a long shot. 2. My team barely won. 3. My team barely lost. Which brings us to the next factor that we match on: grouping. The majority of our matches are comprised of either all solo players or solo players and players grouped with one other person. However, the system does try to match groups of equal sizes together first and foremost. As the time people wait grows, we expand the search to try to find others for them to play with. This means that occasionally we will match groups with players who are not grouped or in a group size that is smaller than their own. Like I mentioned, this is exceedingly rare but can happen. And that match is only made when players have crossed a waiting threshold that we deem too long. For most group matches a group of 6 is placed against another group of 6. Anyway, this leads me to matchmaking rating. This rating is the most important thing that we try to match on. Basically this rating means “how good are you?” Commonly, you’ll hear this referred to as Matchmaking Rating or MMR. MMR is derived differently in different games. Overwatch borrows a lot of knowledge from other games but also does a lot of things unique to Overwatch. As each player plays games, their matchmaking rating goes up or down depending on if they win or lose. The system is extremely complicated and there is a lot more going on here than I am going to spell out. So please don’t take this as the comprehensive guide to how MMR is calculated in Overwatch. There is definitely a lot more going on under the hood. In Overwatch, whether your MMR goes up or down is contingent on winning or losing. But there are a number of factors that determine how much that rating goes up or down. For example, what map you’re playing on and whether you were attacking or defending is factored in. We know the win rates on attack/defend on all of the maps and we normalize accordingly. Not all wins and losses are equal. We also look at your individual performance on each of the heroes you played during the match. Everyone has better and worse heroes and we have tons of data showing us what performance levels should be like on those heroes. We also look at your opponents and whether or not their matchmaking rating is higher or lower than yours. These are just a few of the things that are considered when determining how your skill should go up or down. At no point in MMR calculations do we look at your win/loss ratio and win/loss ratio is never used to determine who to match you with or against. We are not trying to drive your win/loss percentage toward a certain number (although the fact that so many people are at 50% win rates makes us extremely happy). All the system does when it comes to matching on skill is attempt to match you with people of a similar number. The system is of course deeper than this. There are penalties and handicaps added for things like not playing for a while or playing in groups of varying sizes. We also do special things for brand new players to (hopefully) keep them away from the general population. Players will often mistakenly look at player level and accuse the matchmaker of making unfair matches. One thing that I have mentioned before is that we were evaluating your skill during closed beta, open beta and the second stress test weekend. If you played in any of these (over 10 million players did), we had already determined a skill rating for you (most likely). This means that it’s not uncommon to see a level 1 matchmade against much higher level players. In most of these cases, the Level 1 is a skilled player who played during the phases I mentioned but did not immediately play at launch. There are many factors that are beyond our control that add noise to the matchmaking system. So this brings me to some thoughts I’ve been having about Overwatch. While this whole post has been mostly my personal thoughts – this next part is “especially” my thoughts and not reflective of the team or the company’s POV. And I believe OW is strange game in that regard. I spend a lot of time studying the matches that I am in because I am very focused on matchmaking. I’ve been in so many Control Point maps where my team got destroyed on the first point, the enemy team got destroyed on the second point and then we play the third point to a 99%/99% overtime. If you judged any of those single points on their own merits you could say you have two stomps (one in your favor, one against you) and one close match. Same players...no change in matchmaking. Or take a match that I was just in on Route 66, for example. My team was on attack and could barely push out past the train cars. Two members of our team swapped heroes and we proceeded to march the payload all the way to the end of the map practically uncontested. The match went from a stomp in one direction to a stomp in the other direction. So while it is possible for a mismatch to result in a stomp, not every stomp is a mismatch. If every time a team dominates another team it is viewed as “the matchmaker is broken”, the problem we have is with perception and expectations. Look across all pro sports. Even matches happen every night. Stomps happen every night. It’s a reality of any competitive game. Does that make being on the receiving end sting any less – probably not. We are constantly improving the matchmaker. We learn more each day. We have one of our best engineers and best designers full time dedicated to the system. Many of those “silent” patches that go out during the week are adjustments to the system. For example, we recently realized that “Avoid this player” was wreaking havoc on matchmaking. One of the best Widowmaker players in the world complained to us about long queue times. We looked into it and found that hundreds of other players had avoided him (he’s a nice guy – they avoided him because they did not want to play against him, not because of misbehavior). The end result was that it took him an extremely long time to find a match. The worst part was, by the time he finally got a match, he had been waiting so long that the system had “opened up” to lower skill players. Now one of the best Widowmaker players was facing off against players at a lower skill level. As a result, we’ve disabled the Avoid system (the UI will go away in an upcoming patch). The system was designed with the best intent. But the results were pretty disastrous. We will always be working on our matchmaking system. We’re listening to feedback, we’re playing the game a ton ourselves and we’re looking at hard data to inform our decisions. This post wasn’t my way of saying everything is fine. I just wanted to share some of my thoughts as someone who has been evaluating the system itself very closely as well as monitoring the feedback. I want to put it out there that there is a lot of room for improvement but also suggest that there are forces in play that cause some fair matches to sway lopsided due to forces out of our control. The game is as much (if not more) art than it is science. We’ll keep working to make it better! Thank you so much for this information Jeff! Man, actually had fun reading that huge post. Can't even call it a wall of text, as it is perfectly spaced and super readable. Also my cats like to chew on cords. And I use a laptop. Anyway that's, like, a ton of really great info. Combined with the top post, I think I have a pretty good handle on everything matchmaking now! Sad to see the "Avoid this player" feature go, but I'll admit I was even abusing it myself. If I didn't like playing with someone for any number of factors I was clicking on it, because why not? To stop people from "complaining" about mmr, I can suggest two things that can be done right now. 2) adjust your algorithms so that coming off wins (and losses) it keeps you grouped with the same mmr bracket and doesn't give you lower mmr players to try and compensate for your win streak. You should face harder opponents, not be given handicaps. Neither of these will be done but it's worth saying. Jeff, i feel like you should be making stickies of your post and labeling it on what its referring to. That way it appears at the top of the forum. I look forward to more study and insights on this topic from you ExcaliburZ. Your SC2 stuff was impressive. That was a really interesting read. Thanks for sharing Tigole. Does the "Block" functionality do anything with matchmaking now or does that just stop communication? One of the best Widowmaker players in the world complained to us about long queue times. We looked into it and found that hundreds of other players had avoided him (he’s a nice guy – they avoided him because they did not want to play against him, not because of misbehavior). But aw, I kinda feel bad about complaining about the MMR system now. I don't make rage threads about it, but I've mentioned it in frustration. I know you guys work hard on it, and I understand things can't be perfect, but some of the points you brought up I honestly hadn't considered before. Jeff's post needs to be stickied. blue wall of text are AWSOME,MORE! Thanks for the explanation Jeff. That puts my mind at ease over the matchmaking reading it explained so. Thanks ExcaliburZ as well for an informative post. Been having a string of Bad luck games, but I have noticed lately in the last few days I have been getting more closer to even matches. I will lose a match but I don't feel like it was just a stomp but a good game and they outplayed us, and when we win it feels like we had to work for that win more often. Love Overwatch, I have played many FPS games over the years but have avoided the multiplayer side of all of them like the plague. I'm really enjoying this game. Thank you for all your hard work. Yeah, it always strikes me as odd that people never stop to think about the flip side when they're feeling like they should have a higher win rate. I mean if someone feels like they should be winning 60 - 70% of the time, that means there's other players out there losing 60 - 70% of the time. Sure it feels great when you're on the winning side, but what happens when the people in the skill bracket above you want to win against you 70% of the time, are you OK with losing 7 out of every 10 of your matches? Nobody likes to lose, but you can't win all the time, 50% (ish) win rate is just the fairest place to be for everyone, and the most natural point of equilibrium you'd hope things settle at. You're not so good on the reading and comprehension are you.